« E.T. is back…to save Earth! 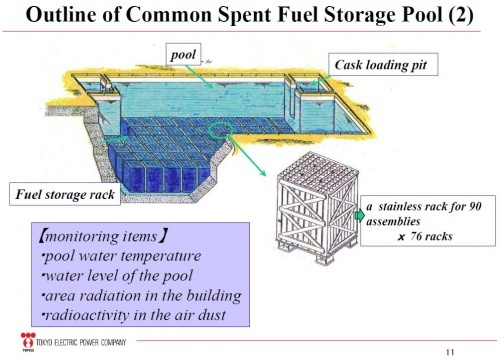 There’s a lot we don’t know about the situation with the Fukushima reactors, but one nagging question I had was: why did they put spent fuel rod storage on top of the reactor buildings? 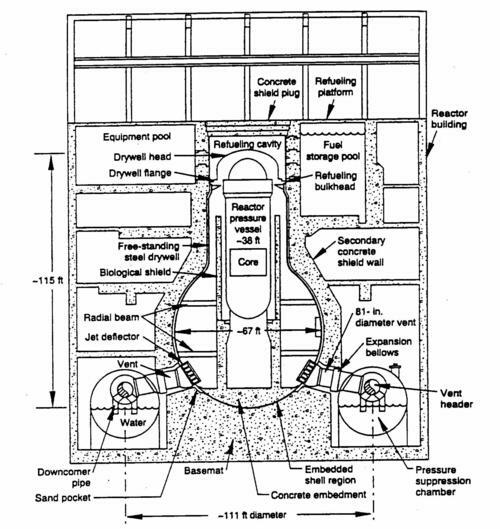 This is a schematic of a typical GE Mark 1 BWR (boiling water reactor). That’s what they have there. 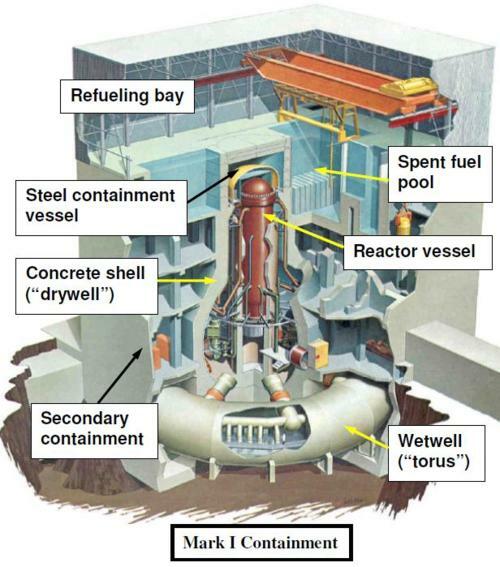 As you can see, the fuel rods would be removed through the top of the steel containment vessel using a crane built into the building. It’s just easier to place them in a pool built right into the building, built of concrete. They are moved a minimum distance and because they are still, in effect, in the secondary containment, there is a greater degree of protection than there might be in a separate installation. Here you can see a little more detail of the refueling area on the top of the building. I read someplace, in someone’s comment, that buildings where explosives are handled are often built like this one – steel girders and relatively light roof and wall structures. In the case of an explosion the light parts of the structure blow out and the supports remain. I can’t cite that, however. Here you can see how these pools are set up. They are apparently not covered in any way, to allow gases to escape. If the rods are kept in place and cool, they should be fine. When the cooling fails, or the water drains, there are problems…as we see today. Still, with six reactors in one facility and so much damage, the folks there have their hands full, and it’s going to be very, very difficult to get this cleaned up. 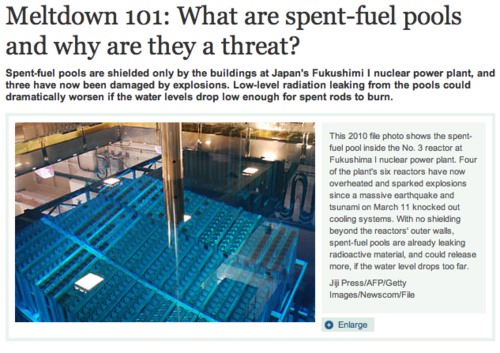 Just remember – an earthquake seven times greater than expected, a mammoth tsunami, total loss of power, and so far, no reactors have melted down. To me, that’s a pretty safe design – especially for having been designed in the mid-1960s and run for forty years.